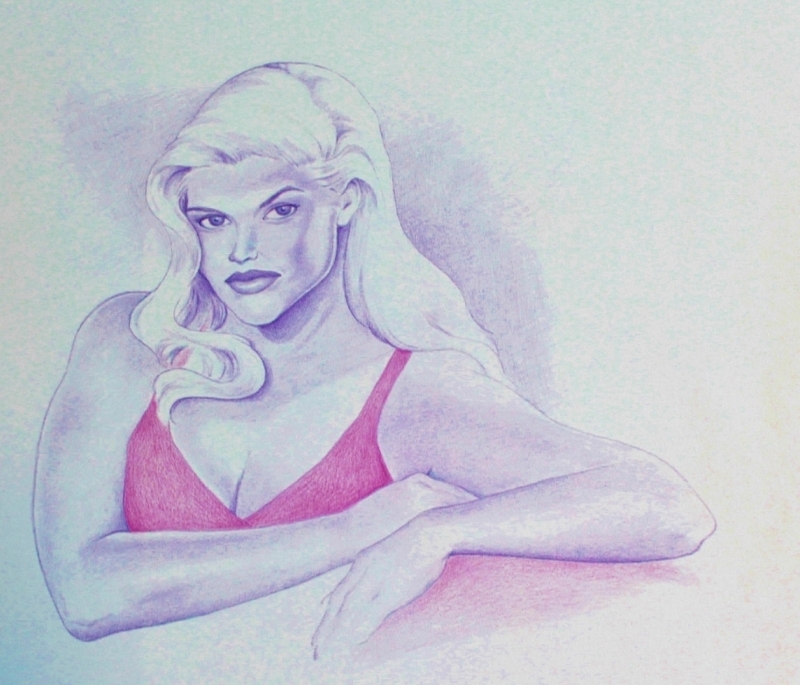 Not exactly a star of the caliber represented elsewhere on this site, but the life and death of Anna Nicole Smith became a lesson in how spectacularly hazardous the pursuit of fame can be. Prismacolor violet, Caran d'Ache purple. Great work, David. Love the use of violet here. Very poised and confident looking Anna. I think she showed a bit of promise as a comedic actress in that silly 'Naked Gun' movie. HAHAHA I'm guessing she didn't win the part on account of her comic timing! The aspect of her personality that impressed the producer wasn't necessarily the one she had in mind.